In SAP BW you able to create a workbook with one or more queries, After you’ve created or sometime during maintenance your workbook, you might need to get a list of queries that were used to build that workbook. You can use transaction RRMX_WORKBOOK_QUERIES_GET to find out which queries are used in workbook. 1.Get technical name of workbook you can use table RSRWBINDEXT via transaction code SE16/ SE11 . And filter OBJVERS as ‘A’ this is Active Version and lookup the workbook by the title and get the workbook ID. 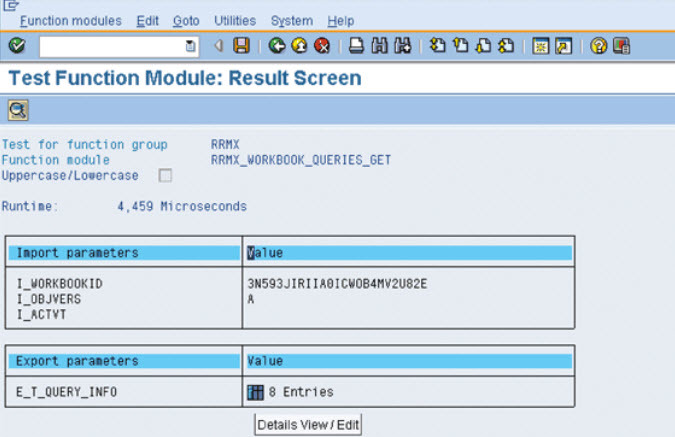 2.Call transaction code RRMX_WORKBOOK_QUERIES_GET and input workbook ID with Workbook ID from step 1. Then execute the list queries are in parameter E_T_QUERY_INFO.